Extremely cool and well made. Really were better than I hoped. Will not be easy to tear or mutilate by rambunctious little boys. Also soft enough that you don’t need to worry about them hurting each other. Highly recommend. used these as a party favor of my son’s 4th birthday, they have a good bounce and nice graphics. The kids loved them. 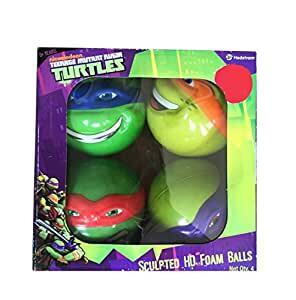 Both of my children, ages 1 and 5 really love these balls. They are very durable and can withstand hours of rough playing. My nephew loved these for Christmas. Great color, size, and the 3 D affect of faces on the balls is awesome!